Don was born in Youngstown, Ohio in 1930 and after high school attended the University of Akron in Akron, Ohio where he majored and excelled in polymer chemistry and analytical methods. He was employed by General Tire and Rubber Company where he had a distinguished career as a research chemist and manager for many years and then eventually transitioned into the analytical laboratories of Ohio Edison. He assisted with many notable developments in the tire industry and in highly specialized analytical techniques. 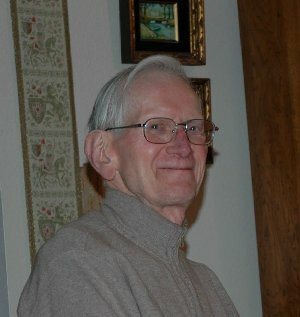 Don had a passion for chemistry, philately, literature, gardening, fishing, baseball, football and vintage movies. He was a devoted husband, father, grandfather, and great grandfather. He always managed to make time for family. He also had a wonderful, and sometimes dry, sense of humor. Don began collecting stamps in the 1970Ã¢â‚¬â„¢s with interests in United States stamps, mostly commemorative and regular issue singles and plate blocks as well as some international stamps. As with chemistry and his other passions, he had the zeal to learn as much as he could about his subjects of interest. DonÃ¢â‚¬â„¢s passion for philately paralleled his enthusiasm for world history, geography and languages. He was fluent in German, Russian, French, and Italian; he taught himself Spanish at the age of 82. As his philatelic fascination matured he began to focus specifically on Belgian Congo and Rwanda-Urundi, and to a lesser extent German New Guinea and New Zealand. Don compiled and meticulously curated an extensive collection of Belgian Congo stamps augmented by covers, envelopes, and view cards. His commitment to building a specialized collection was propelled to an advanced level after becoming a member of the Belgian Congo Study Circle in 1997. Being a member was very inspirational and served as a pivotal point in his collecting, especially after retirement. His broad knowledge of languages,(developed to translate scientific articles)became invaluable for translating articles and correspondence for members of the BCSC as well as other philatelic societies. His interest and commitment to Belgian Congo and Rwanda-Urundi philately as well as the Belgian Congo Study Circle was with him to the end.